Arsenal have it all to do in the second leg of their Europa League semi-final tie with Atletico Madrid, but they could have Henrikh Mkhitaryan back. The Gunners squandered a great opportunity to put themselves in a commanding position on Thursday night, with the visitors at the Emirates reduced to 10 men early on while Diego Simeone was sent to the stands shortly after. Having found a goal with 30 minutes remaining in the encounter, Arsenal would have hoped to make the most of their advantage and take a big lead to the Spanish capital next week. Instead, Antoine Griezmann found a pivotal away goal that leaves Arsene Wenger’s men in trouble of falling short. As a result, the French tactician will be desperate to get as much help as he can for the second leg, and it could come in the form of Mkhitaryan. According to The Times, the Armenian international could return for the second leg at the Wanda Metropolitano having been sidelined with a knee injury that he sustained in the last round against CSKA Moscow. With experience at the highest level and the creative quality to unlock top defences, the 29-year-old playmaker’s involvement next week could be crucial to Arsenal’s chances of advancing to the final. Add Mkhitaryan to the likes of Mesut Ozil and Alexandre Lacazette, and they’ll arguably feel confident of finding an away goal of their own. Having conceded late on at the Emirates, they’ll have to find a way past Jan Oblak next week if they want to progress. 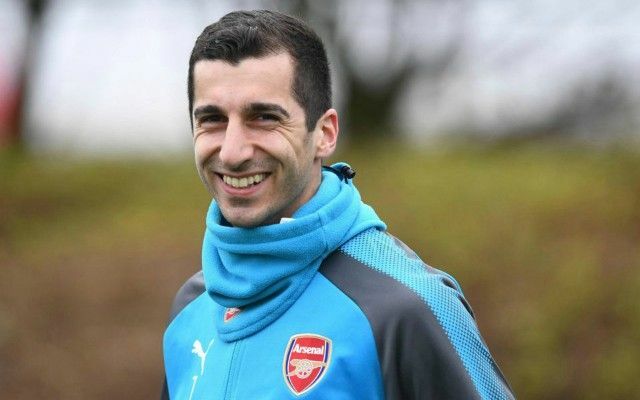 With four goals and 12 assists in 34 appearances this season across spells with Man Utd and Arsenal, Mkhitaryan will certainly be useful in making that happen.